This July, nearly 100 people gathered to share a two-day space in Cape Town, in a quest to discuss and strategize around decolonization, knowledge, and the internet. From techies to artists, our Decolonizing the Internet conference brought together a wide array of people from 28 different countries, all of whom care deeply about the politics of knowledge production and internet governance. A majority of participants were women, transgender or non-binary, people of color, and from the global South – embodying the plurality of knowledge from a variety of contexts across the globe. Today, we are pleased to release the “Decolonizing the Internet 2018 Summary Report”, to share more about what happened at this event. The report provides an overview of the process itself, which was designed as a conference for talking with, rather than talking at; some themes, visions and goals that shaped the debates; actions that emerged; next steps for the future; and reflections from participants. We embarked on this journey by recognizing that the internet and public knowledge do not reflect the knowledge of marginalized communities, which is the knowledge of the majority of the world. Most online public knowledge today still skews towards white, male, and global North knowledge. As a result, we cannot fully see or know each other, our histories, our cultures, our lived experiences. This lack of mutual knowledge is at the root of many crises in our world today. We believe the Internet has the emancipatory potential to change that, but it cannot be realized without significant combined efforts. 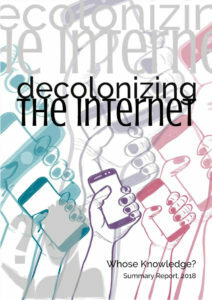 Fundamental questions arose at Decolonizing the Internet: What does decolonizing the internet mean to me? 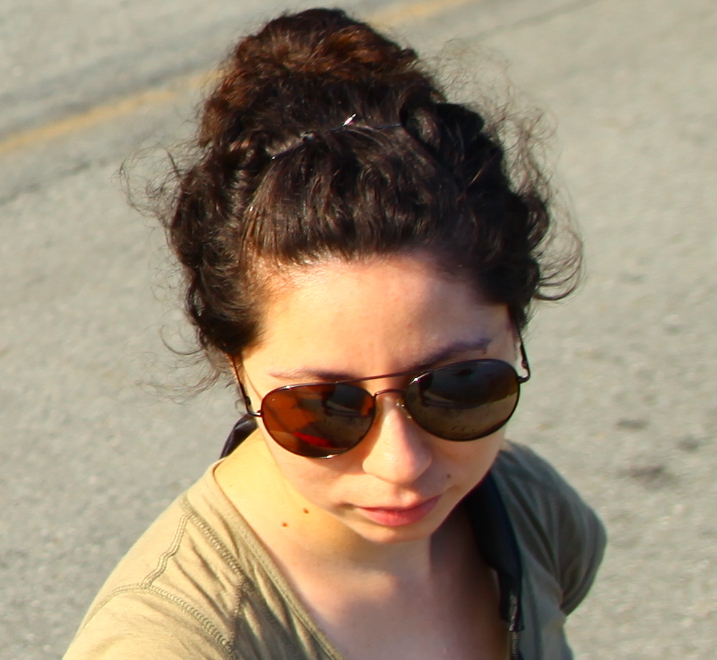 What experiences do I have decolonizing the internet? Where are we going and what could it look like? How do we get there? Some of these questions found straightforward answers, and others will need more collective strategizing and alliance-building to be solved. Decolonizing the Internet was designed to enable a space for these alliances to grow, and more importantly, to move from discussion to action. In the same way that Decolonizing the Internet 2018 was the result of the commitment and hard work of many wonderful people, this report is the result of the brilliance and depth of each of the conference’s participants. Whose Knowledge? is grateful to have had this first set of conversations with so many of you, and we look forward to more in the coming year! Download the PDF in English, or Spanish, and share widely!